Last time we talked about chemical free deodorant and a great way to eliminate odor in you kitchen sink. This week I want to talk about The Honest Company. Because what goes ON your body is just as important as what goes IN." I have always bought items here are there, but lately I have decided to get monthly bundles. They even offer a free trial where you get 5 samples sent to you! That is how it all started for me. I was quickly hooked and will never go back to using so many chemicals in our everyday lives! 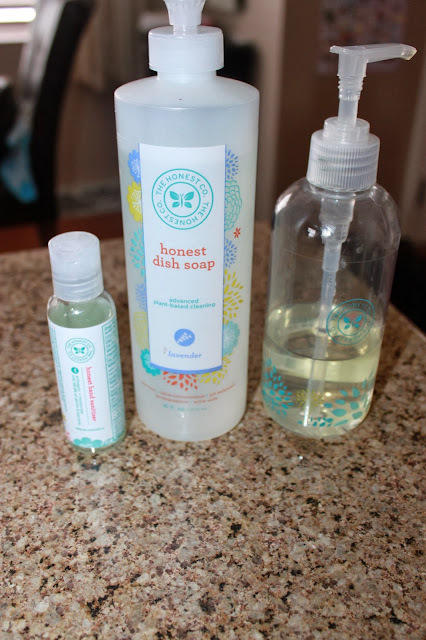 Do you shop the Honest Company? TOTALLY USE HONEST in our house too...I use everything for the boys from them...I started when Connor was 2...and I hated the fact that his diapers were NOT biodegradable and when he would go in the pool w one on...there were these weird crystals that would appear....DID NOT SEEM RIGHT to me...did some research and stumbled upon honest...been happily using for over 2 years...When Connor was pottytrained...Preston took right up where he left off, lol. For detergent I use The Good Home Company...LOVE their scents and I am a brand ambassador so I can't really cheat on them BUT...they are JUST like Honest...all natural..no harsh chemicals..good for YOU and good for environment....I mean I honestly look at tide and cringe, lol. is this jessica alba's company?? my mom is always looking up the ingredients in the stuff i use! i should get her some of these, lol! !